Police identified the man responsible for Friday's attack as 30-year-old Hassan Khalif Shire Ali and said he was radicalised and inspired by the terrorist group's propaganda. 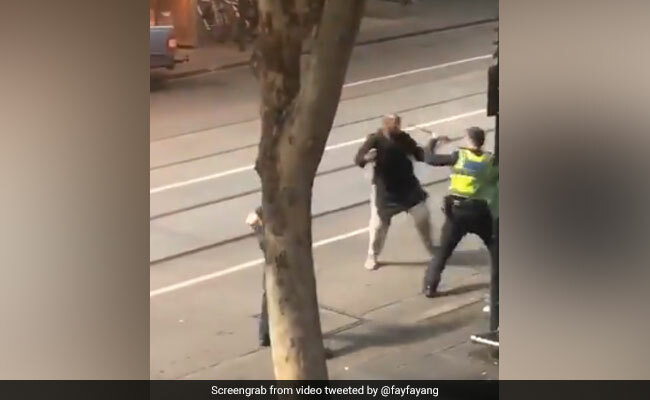 A Somali-born man who set fire to a truck laden with gas cylinders in the centre of Melbourne and fatally stabbed one person was inspired by ISIS but did not have direct links with the group, Australian police said on Saturday. Police identified the man responsible for Friday's attack as 30-year-old Hassan Khalif Shire Ali and said he was radicalised and inspired by the terrorist group's propaganda. He was shot by police and died in hospital. Two hostages were killed during the 17-hour Sydney cafe siege by a "lone wolf" gunman who was inspired by ISIS terrorists.